After three years, including a turbulent planning process including re-submission and finally appeal, Birchwood Farmhouse is now complete. The single storey replacement dwelling was met with great resistance by the Selby D.C. planning department who supported the design appearance, but insisted its size was an unacceptable obstruction to the openness of the surrounding countryside when compared to the original 2 storey roadside house. Native worked tirelessly negotiating with the planning department and strategically developed a winning case for the proposal that was eventually given permission at appeal. Native’s extensive experience with local authority planning departments, in-house 3 dimensional modelling skills and successful teamwork with the best planning specialists was a formidable force for Birchwood. The approved design repositioned the new house away from the road to a more appropriate position. 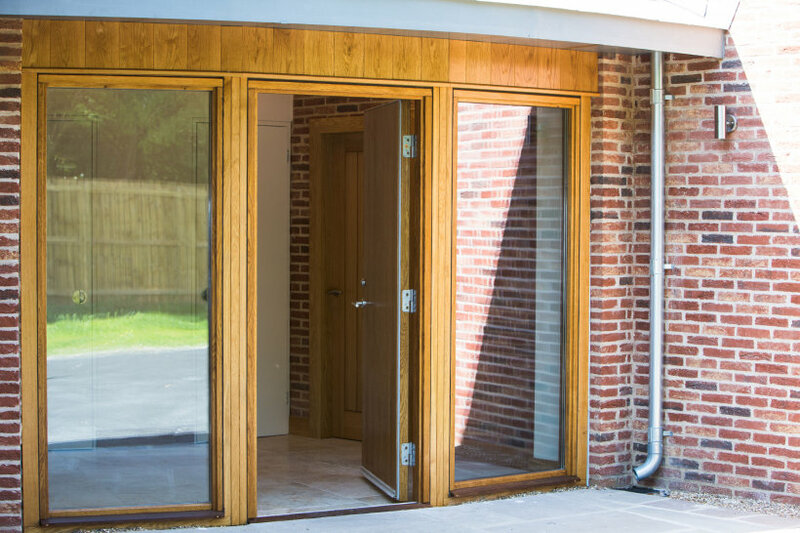 This enabled sheltered garden spaces and a secure driveway especially designed to meet this needs of the client, who is a wheelchair user and garden lover. 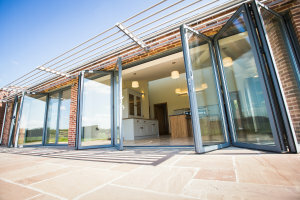 Natural light streams into the key living spaces through high-level windows and wide bi-folding doors, which also allow the garden to flow into the house and enhance the connection and accessibility to the outside. 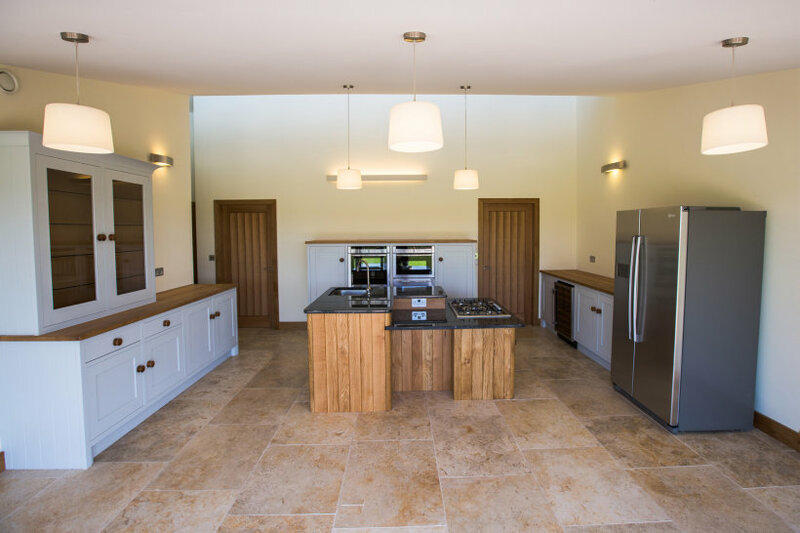 The internal layout is sensitively designed around wheelchair accessibility and its occupant’s reach. 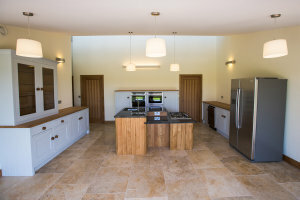 The client was keen to avoid institutional disability aids and only the highest products and finishes were specified. 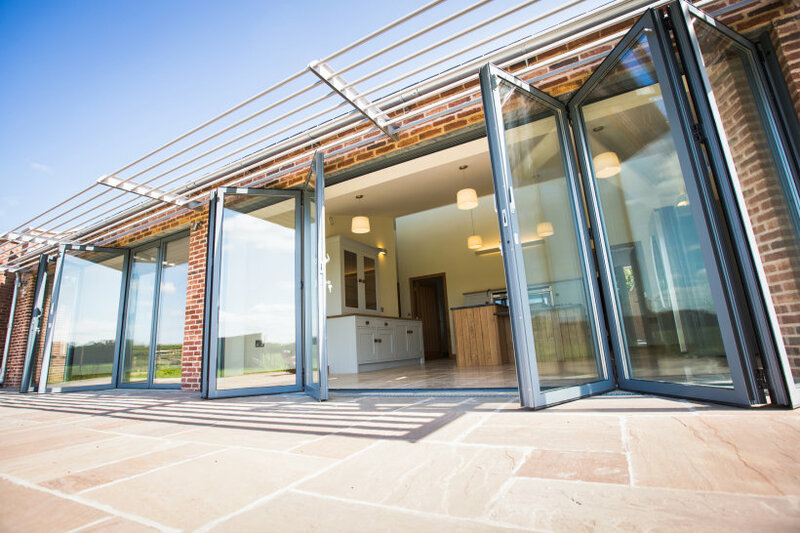 The house embodies the best use of traditional materials and site orientation to take advantage of passive solar energy and also combines highly insulating construction methods with proven new technology to minimise the environmental impact of the house. 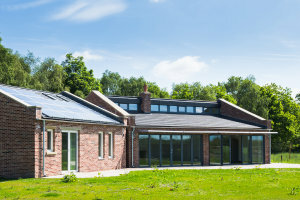 It is heated by a ground source heat pump, has photovoltaic panels integrated into one roof slope and a whole house heat-recovery ventilation system. Birchwood will provide a lifelong, comfortable and energy efficient home for the client.